Fiji’s “romantic locations” has captivated the imagination of one supervising producer from India. Sumeet Aggarwal and his entire crew are here to shoot a romantic Punjabi movie ‘Jaani’ in the Western Division. 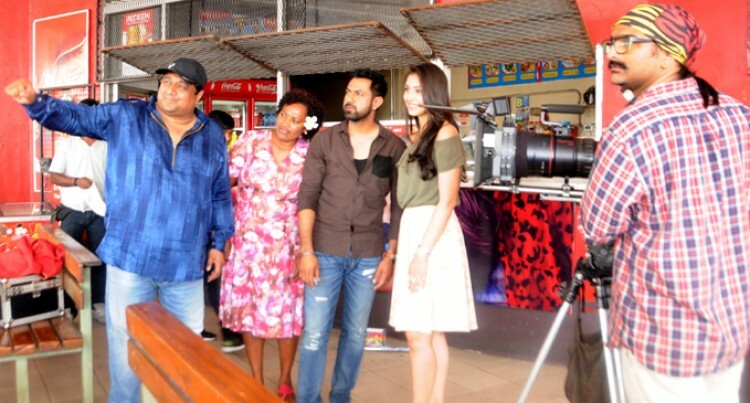 The movie cast includes the former Miss India Navneet Kaur Dhillon, and famous Punjabi actor, Gippy Grewal. Mr Aggarwal said the team wanted to shoot in Fiji because of the romantic locations. “Fiji has been one of the most romantic locations we could find and we had seen the whole place for 15 days before starting to shoot for this film,” he said. The film is about a girl from India who falls in love with a taxi driver in Fiji. “The girl comes from a family which has a very wealthy background and she comes to Fiji to get married to her fiancé, but her flight gets diverted to a different airport and she meets this taxi driver and asks him to drop her to Suva from Nadi,” Mr Aggarwal said. He acknowledged the Fijian Government for the support and the entire movie crew was thankful for that. “The Fijian Government is supporting us in this project and we have chosen Fiji for shooting because it is a romantic movie and Fiji as a country is very romantic and we thank the Fijian Government for allowing us to shoot here in Fiji,” he said. Mr Aggarwal previously worked in movies like ‘Robot’, ‘Roy’ and has worked in Punjabi movies as well like ‘Munde Kamaal Deh’. The movie will be shot here until July 6 and it is expected to hit the cinemas by October this year.